Selecting the right paint can truly make or break the space, and with so many options out there we do our best to simplify the process for our clients. One of the most common questions we receive is about our go-to paint colors, so here you go! These are our tried and true, most-used neutrals. Which one is your favorite? We’d love to hear in the comments below! What’s better than starting the year off with a space designed specifically for you? It’s hard for me to choose just one space to be the most important in any home, but I would have to say that our bedrooms are at the top of my list. It’s where we start and end each day- and some days the place we go to get away from all the happenings in-between. When this client asked me to help pull together the last untouched space in their home, we reviewed inspiration images and discussed all their wishlist for the space. I knew it had to hold up to their busy family but also be bright, beautiful, and have a touch of feminine. For the bed frame, we sourced a custom upholstered bed frame and head board in a clean white fabric. The fabric itself is an indoor/outdoor grade fabric, so it will hold up for family movie nights and be easy to maintain. 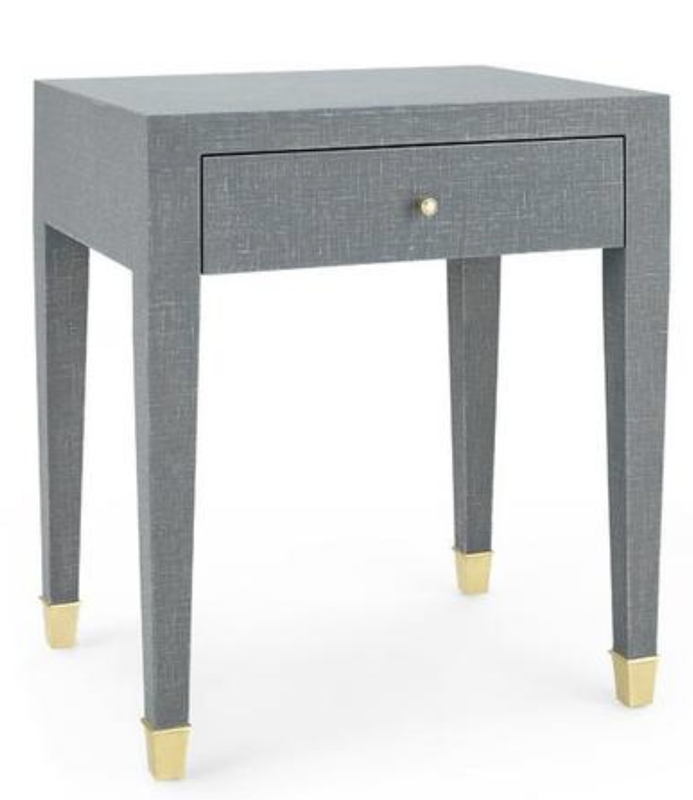 On either side of the bed frame, we added a pop of color and texture with the bed side tables. The client had an existing leather bench that we utilized at the end of the bed, and to tie in the natural tones we added a natural woven accent chair. To finish off the space we tied in brass accents in the lamps, artwork, and hardware. The custom draperies really add texture, color, and elegance. You can read even more about the Rivers Bend Master in the latest issue of Midwest Nest Magazine. It’s officially the most wonderful time of the year, and I’ve put together some of our top decorating picks for the holiday’s. These are all items I currently have in my own home and when I tackle holiday decorating I love items that easily transition my existing decor to a more festive feel. 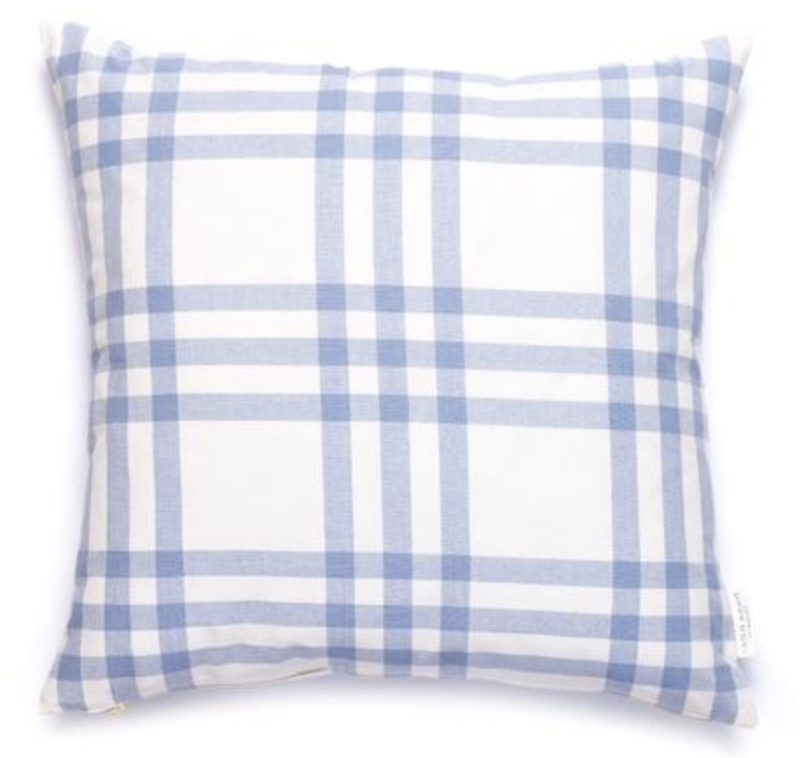 This throw pillow combination will easily take me through the holiday’s and even the winter months. I love these mini wreaths with the berry accents, I hang them in front of our small picture windows and tie them with the pink ribbon for a fun accent. For the mantle, I use a simple unlit garland and classic knit stockings. When it comes to the tree, my trick is lots of ornaments in light colors so they create contrast and really pop. One of the most sought after trends this year is a woven tree collar, I can’t wait for ours to arrive! I love the more casual feel it gives from a traditional tree skirt. I’m planning on pairing ours with a faux sheep skin rug to maximize the texture. When it comes to shelf styling, I love these mini table top tree’s & metal bucket filled with birch branches. My big tip for holiday styling is not to be afraid to store away your existing decor so it doesn’t feel cluttered. It also maximizes the pieces you already own by making them feel fresh & new all year around! Getting the perfect layered look with bedding is a quick and easy change you can make to freshen up the look of your bedroom in no time. That's why I've decided to break down the (not so basic) bedding basics- that you should use to make your bed look perfect put together. Let's start with what you don't see. These are the items that really make or break a well put together (and cozy) bed. First step, using a feather bed directly on top your existing mattress creates the perfect fullness affect. If you don't like using a true feather bed, there are down alternatives or really cozy foam options. 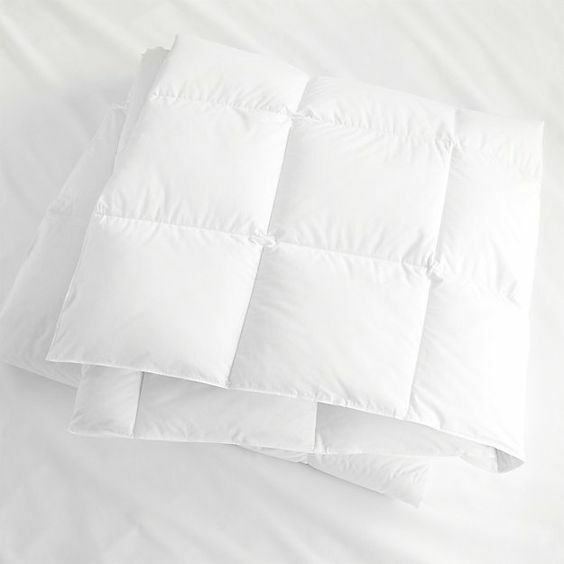 Combine that with the perfect duvet insert, and you have that "cloud" look and feel you've always dreamed of. Certain bed frames leave an exposed box spring, so be sure to consider that and purchase a coordinating cover if needed. The next step to creating the perfect layered bedding, is probably the one thing that people have the hardest time finding their favorite "go-to's"... sheets! I've linked my favorites below. Then, I love to add a gorgeous coverlet. 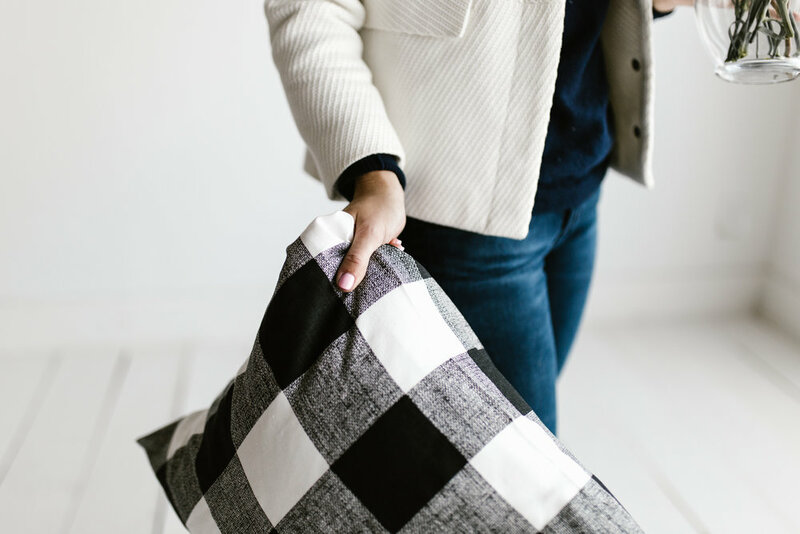 You can keep it the same color as the duvet like we did here to create the gorgeous clean white look, or you can switch it up by adding texture and pattern. Placing the folded duvet cover at the end of the bed showcases the coverlet and creates a gorgeous and inviting look. 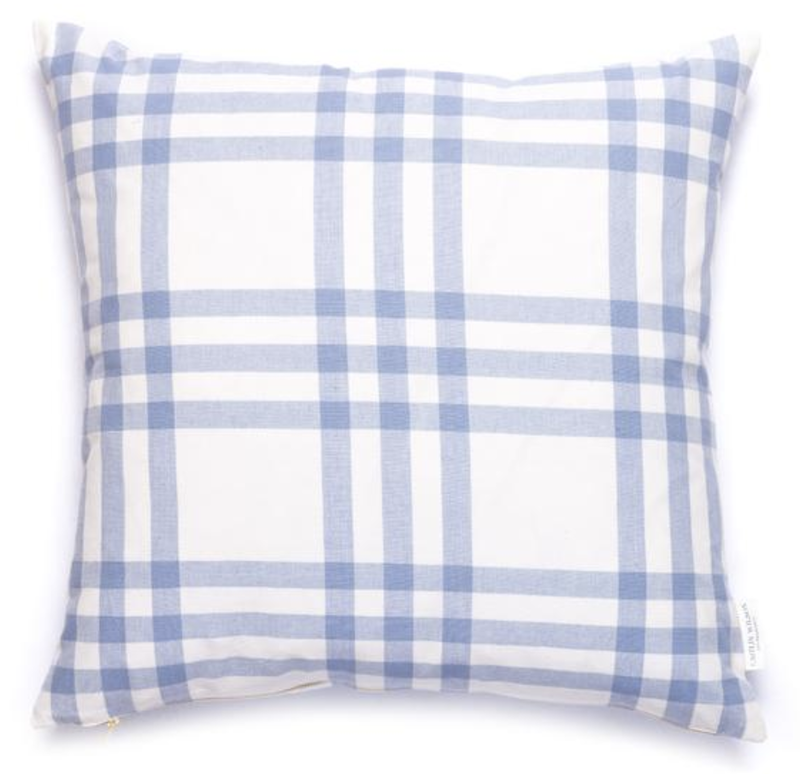 Along with a gorgeous throw like the one linked above, the perfect finishing touch is always good pillows. The size selected really depends on the size of your bed, but my general rule of thumb is always the more substantial the better they will look. 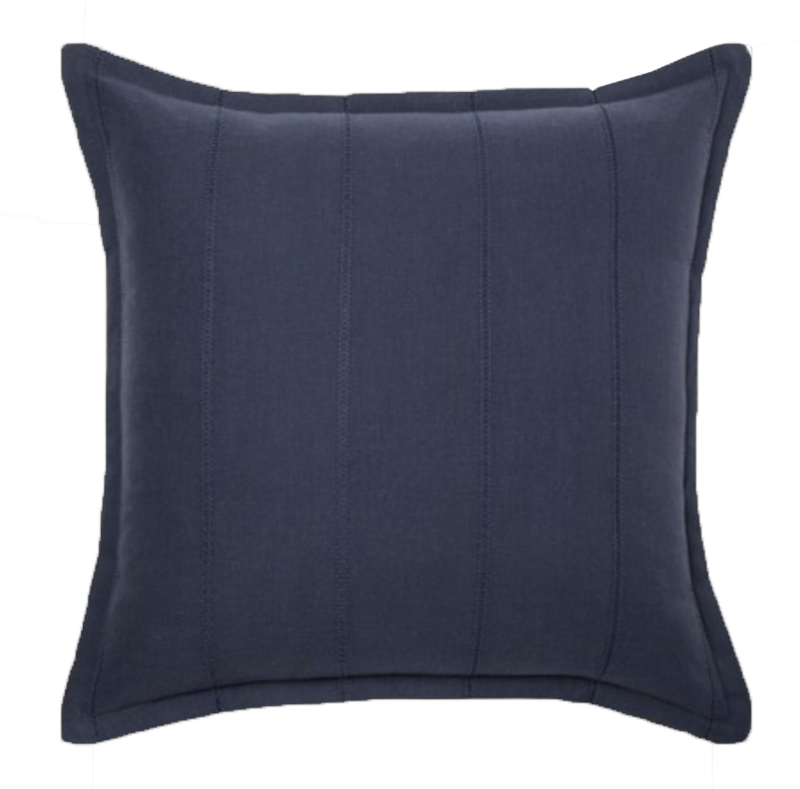 When selecting pillow sizes, always consider creating that tiered affect- and don't be afraid to switch it up! Throw pillows can easily be moved around from different spaces in your home to create a whole new feel in each room. Don't forget your inserts! The final step? Kick-back and relax, enjoy your new cozy bed. Happy Friday everyone! It's been a busy couple weeks getting new construction plans finalized and selecting furniture for spring decorating installations. Although we started the week with a major snow storm in Fargo, it seems that the projects never slow down for very long. In true Midwestern fashion, we work through it all. With that said, I think I can speak for most- spring needs to hurry up! I love keeping you all up to date on the projects I've been working on, and one way to do that is sharing the inspiration I've been using to kick-start some of the most fun projects. It also allows me to share the love for other designers, a win-win. Starting each project from the ground up, I love digging into all the details with the team- from architects, to builders, to the home owners- team work truly makes the dream work. For one project, I fell in love with the idea of these warm wooden garage doors. They make the first impression of the home feel so warm, welcoming, and inviting. Just one of the many gorgeous images that inspire our projects. Enjoy this weeks top pinned items. One of my favorite pieces to style in my home is this little brass bar cart I bought a few years back. It's transitioned from home to home with me. It's currently found it's perfect spot in our new dining room. Our dining room is one of the first spaces I designed in our new home, and I can't wait to share the reveal with you all soon! For now, I had a blast changing things up and styling the content for this shoot at Sophie Grace Photography's studio- Downtown Fargo. I love to change up how I style my bar cart. I swap it up when I'm hosting parties, as the seasons change, or just when I feel like I want a little space refresh. The staples I always make sure to have are a bottle chiller, shaker, and whatever type of serving glass I am using for the occassion. I also love adding fresh greenery. Seeded eucalyptus is my go to since I can easily pick it up at the grocery store, and it stays looking fresh for a long time. Layering is also key for bar cart styling. I love utilizing books to change up the height, and using linens to add color. My same bar cart can be found here. It's that time of year when most of us are only thinking about where we can escape on a spring break getaway. We're having an especially cold winter in North Dakota, and I know the Fargo home builders can't wait to break ground on their upcoming spring projects. I think this weeks pins are a sign that I'm ready to say goodbye to the cold too! This week we received tons of new fabric samples from our gracious vendors, and you may have seen a few sneak peeks on my instastories for upcoming projects. I love the new spring collections that are coming out and I am so excited to use them. I also wrote a blog on one of my favorite materials to utilize when selecting material finishes for a home. If you missed the post on my favorite cement tiles (and the sources to find them!) you can read it here. Do you have an exciting home project you can't wait to start? Or is your mind mostly on spring travel? Share in the comments below! As a designer, I feel like I am constantly claiming my obsession. 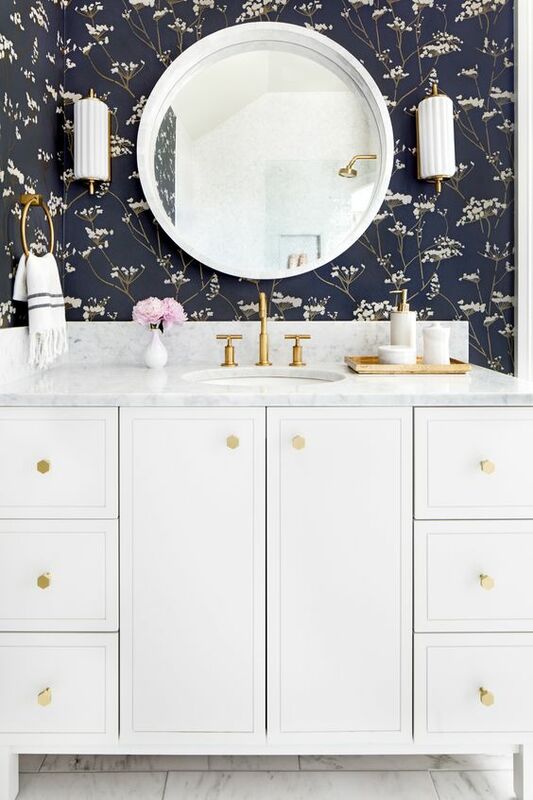 The truth is, there are several trends I will admit I am obsessed with- wallpaper, brass, a great fig tree- although among the top is, cement tile. Picking out flooring for a new construction job or remodel can be a daunting task. There's a lot of factors that go into selecting the perfect material for each space. Not only does aesthetic and budget need to be considered, but also comfort and maintenance. I could write several posts on selecting the right flooring for each space (and I definitely plan to do so! ), but this post is dedicated solely to my love of cement tile. Without getting too technical, the maintenance and installation of cement tile is extremely important. If clients are nervous about the upkeep, I recommend using the material in a lesser traffic area, such as the laundry room vs the mudroom. With that being said, I strongly encourage you to go for it if you're dreaming of installing that perfect pattern in your kitchen- just make sure it's properly grouted, installed, and sealed. How do you know it's properly sealed? Water should bead on the surface. You'll also have to reseal every couple of years, as needed. Since cement tile is a manufactured product made of natural materials, it's important to understand that a natural patina will occur over time. Patina, is a fancy word for describing that it will fade in some areas. Wear will show. I love this about certain products, including cement tile, because it can create that cozy lived in charm. Along with proper installation, it's also important to specify how you would like the tiles laid out. Since the pattern is technically created when four tiles meet, there are typically several different lay outs that can be created. Budget. Although not all beautiful things are costly (even though in the design world this sometimes seems false) I would not recommend cement tiles as a cost saving option. The price of the actual material can differ between manufacturers, but it's also important to remember that the cost usually goes towards the installation. It can be a timely process, but oh so worth it! 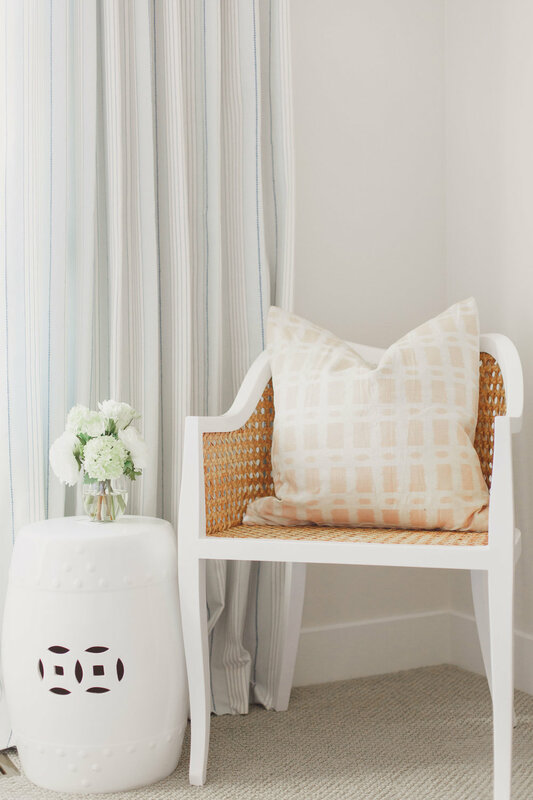 If you're worried about budget, consider smaller spaces, as a little bit of a good thing can make a huge impact. The new year is a time to set goals, and stick to them. There's no better way to start out the year than being organized. There are so many great tools out there, and it’s important that whatever you choose is something you'll actually want to keep using through out the year. That's why I've created a round up of the best organization accessories that are both functional and pretty. If you're anything like me, you need a visual. I love this desktop weekly planner so I can keep myself on track through out the day. I use my icalendar as my main source of scheduling, but there's nothing like keeping your top priorities on paper. This way it's always right in front of me. I plan out the majority of my office time a week in advance. Being a business owner I wear many hats, so I like to delegate certain days of the week to accounting, social media, and of course actual design time. How adorable are these pencils? I could see any of these patterns on a cute throw pillow (or maybe even wallpaper!) and that makes me want to use them that much more. I love a good old school pencil. I currently use the Blush Mini 3 Ring Binder, but I’m making the switch the new leather one for the new year! I love size of these, they easily fit in my tote. The organizational inserts that you can purchase to go with them make them super customizable. I use my planner insert along with a mini notebook so I always have paper handy to take notes. Whenever I get a new binder, I typically can use the other one for something else- just by purchasing a few new inserts. I currently have three Mini 3 Ring Binders. I use one for my daily/monthly planner, one for business cards, and the other for wedding planning. If you purchase in store, they also offer free engraving services. Last time I checked, they weren’t offering engraving for online orders. One downside to these planners is that they don’t work well if you want to add full size papers with standard hole punches. I hope you love these tools to stay organized this year. Let us know your tips and tricks to a productive and organized year, in the comments below! If you read our blog post yesterday, you'll know I'm celebrating the new year by selecting my favorite spaces of 2017. Today is day two, of our "Best of 2017" series. I'm sharing my favorite powder baths of the year. These tiny spaces can pack a major punch with the right amount of detail. I might be bias since this year I had the opportunity to meet Nate Berkus (he really is just as charming and handsome in person as you would imagine) but seriously, I love this powder bath. The powder bathroom is the perfect spot to switch up the design of the vanity, and display open storage. 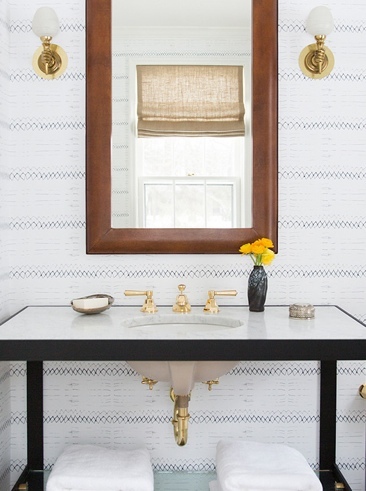 I love the brass details combined with the metal and natural wood of the mirror. 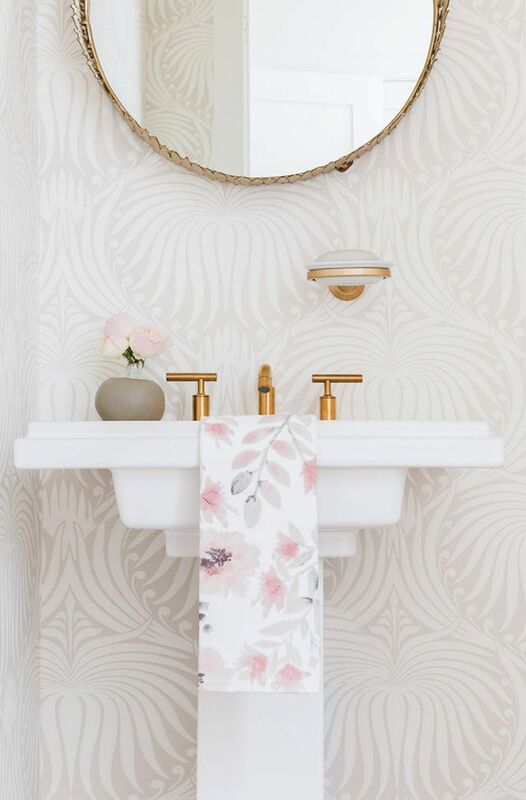 One of my obsessions with powder bathrooms may be that they are the perfect opportunity to use a great wallpaper. Yes, wallpaper is IN and I love it. Tip: Select your wallpaper like it's a piece of art and trust your gut. It may seem like a huge commitment at first, but if you love it it will easily make any room in your home your favorite space. Don't forget the accessories! I love this perfectly pretty powder bathroom. It's always a super functional and pretty touch to add a beautiful hand towel and soap for your guests. Switching up the vanity from built in cabinetry to a pedestal can also be a major cost savings. It's no surprise that Studio McGee made my favorites list. This natural oak cabinet is an all time favorite, probably for longer than just this year. I love the neutral finishes + shiplap accents in this powder bath. Mixing finishes is not only okay, it creates a beautiful and collected look. Thank you for reading my round up of favorite powder bathrooms of 2017! Check back tomorrow for day three. I am so excited for what's to come in 2018. If you had a chance to read the Friday Favorites last week, you'll know I'm all about sharing the love for other designers. In honor of the new year, I'll be sharing all of my favorite spaces that have inspired me in 2017. Today, we're starting in the heart of the home- the kitchen. Although each room deserves its own "special" touch, the kitchen can truly set the tone of how a home not only feels, but also functions. Enjoy these beauties of 2017- it was so difficult to chose. CoCo Kelley blog is one of my absolute favorites. Clients sometimes come to me and are afraid to take the "all white plunge" even though they love the look. 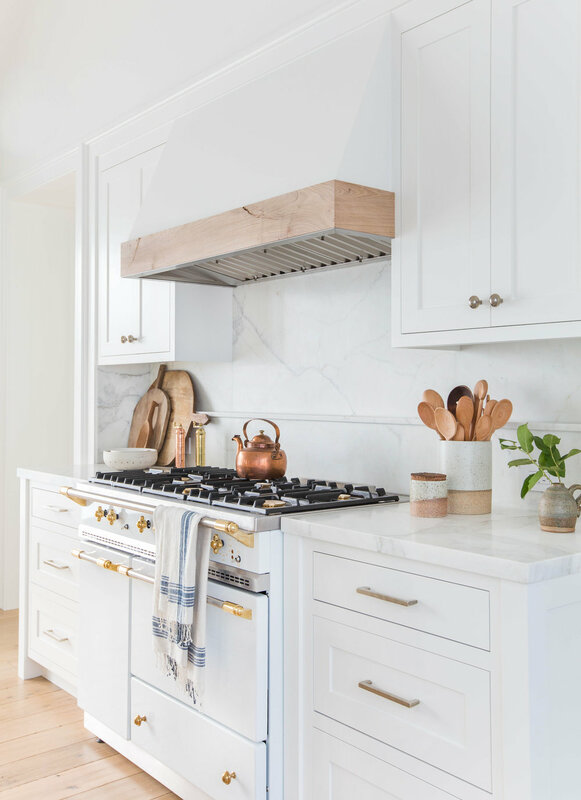 This project is a perfect example of how classic an all white kitchen can look, mixed with the right amount of warmth. 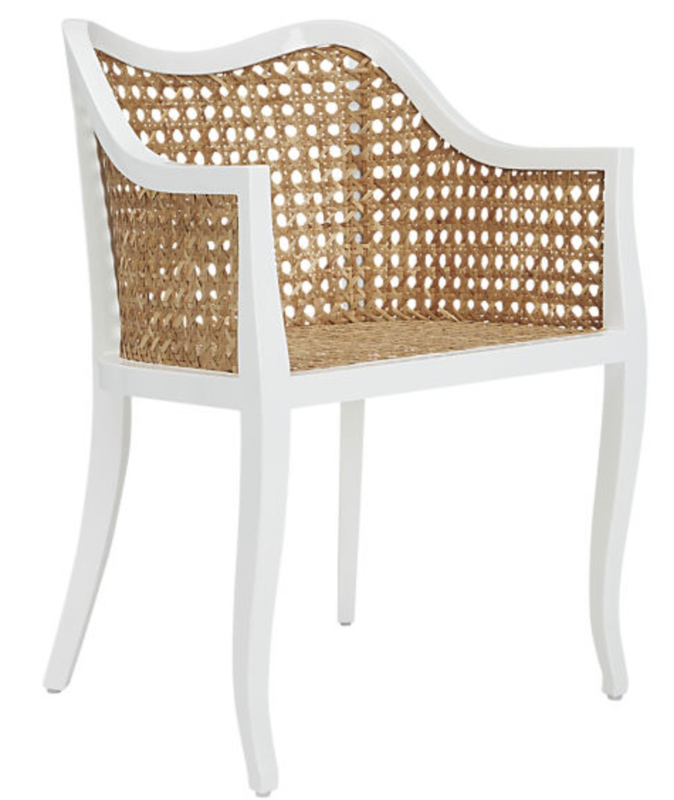 The design world has quickly become obsessed with Studio McGee, and I'm definitely a self proclaimed super fan. This year, they rolled out remodel after remodel, and each one out did the last. The double islands made this one a favorite. It doesn't get more classic and gorgeous than Dana Wolter's ornate design with these beautiful natural oak cabinets. Variety. That sums up this gorgeous kitchen by Old Seagrove Homes. It can be very difficult to perfect variety in kitchens, by mixing up wood tones, heights, and hard surface materials- while still making the design feel intentional and cohesive. This kitchen is a perfect example of creating a cozy collected look with lots of variety. Thanks for reading our favorite kitchens of 2017. Check back this week to see the rest of our round ups. Happy New Year, and cheers to 2018.